Currently, many policy and management decisions are made without considering the goods and services humans derive from ecosystems and the costs associated with protecting them. This approach is not sustainable. How do we think about what it means to be sustainable? We need to anticipate the consequences of alternative decisions on ecosystems or the value of ecosystem services. 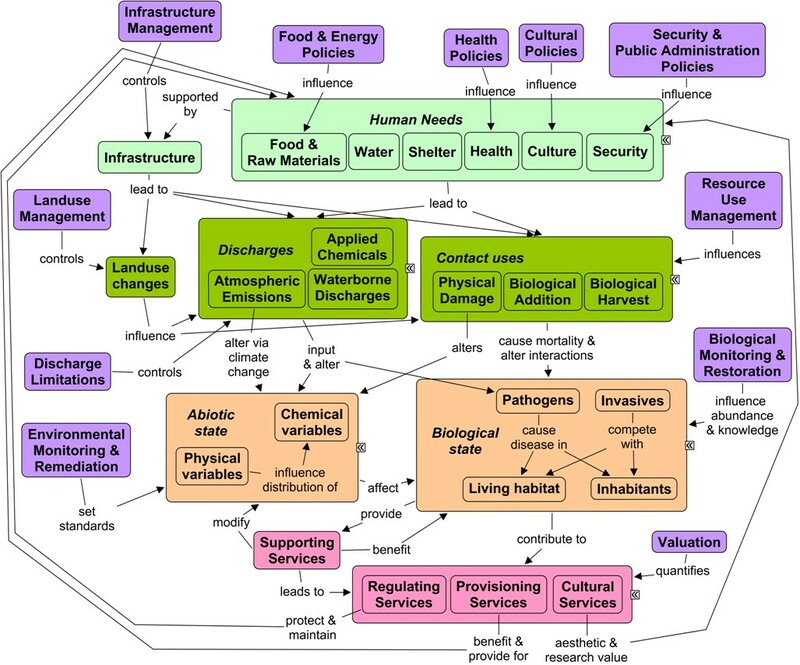 Conceptual frameworks provide a tool for capturing, visualizing, and organizing the connections among human decisions, the pressures that socio-economic factors create on the environment, and the potential consequences for provisioning of ecosystem goods and services. By thinking about the whole system within a systems framework, scientists, stakeholders, and decision-makers can better anticipate how elements in the system are linked together. 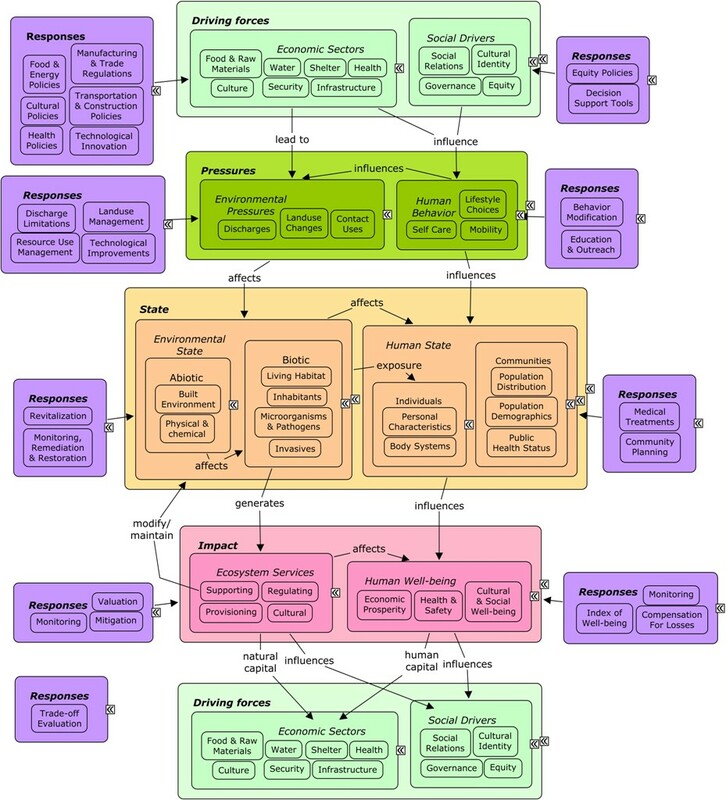 This set of tutorials provides 1) an overview of incorporating systems thinking into decision-making, 2) an introduction to the Driver-Pressure-State-Impact-Response (DPSIR) framework as one approach that can assist in the decision analysis process, and 3) an overview of DPSIR tools, including concept mapping and keyword lists, which can be helpful in generating a DPSIR. Each module takes approximately 20 minutes to complete. What is Systems Thinking and what is the DPSIR Framework? How do I create a DPSIR for my project? Can I see an example? How do I create a DPSIR using the Generic DPSIR tools? Can I see an example? How do I use DPSIR as a discussion tool in a workshop? Can I see an example? How do I use my DPSIR to identify indicators? Can I see an example? How do I use my DPSIR to organize information? Can I see an example? 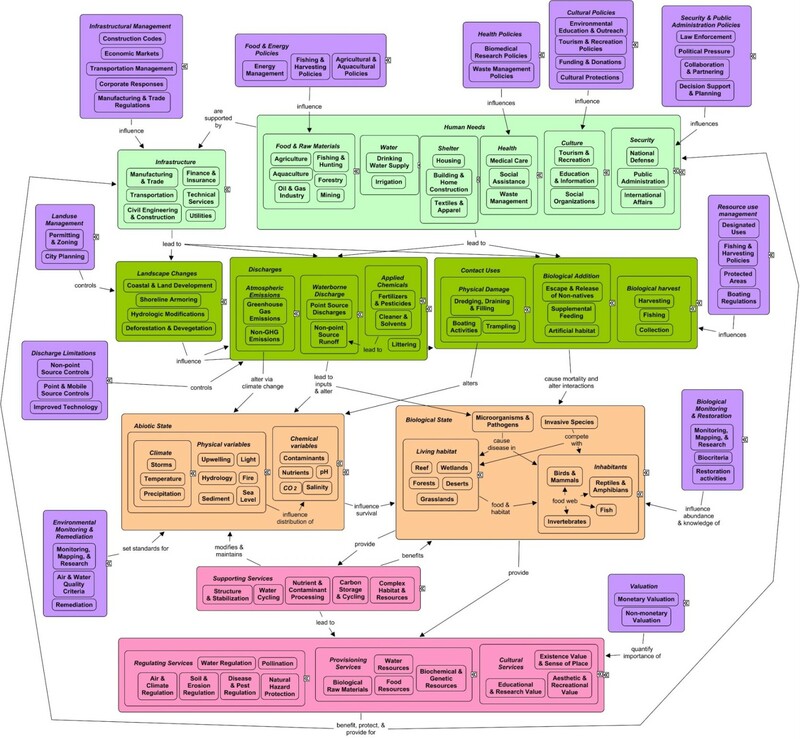 How do I use my DPSIR as a framework for model development? Can I see an example?